24.com – Cape Town – Cricket South Africa (CSA) along with Global Sports Commerce (GSC), the Commercial Right Holder of Mzansi Super League T20 (MSL T20), has on Wednesday announced their partnership with Sony Pictures Networks India (SPN) for the first ever season of the MSL T20 in India and the sub-continent. Cape Town – Cricket South Africa (CSA) along with Global Sports Commerce (GSC), the Commercial Right Holder of Mzansi Super League T20 (MSL T20), has on Wednesday announced their partnership with Sony Pictures Networks India (SPN) for the first ever season of the MSL T20 in India and the sub-continent. The sports channels of SPN, one of India’s premium sports destination, holds the broadcast rights of international cricket in various countries such as Australia, South Africa, England, and the West Indies. 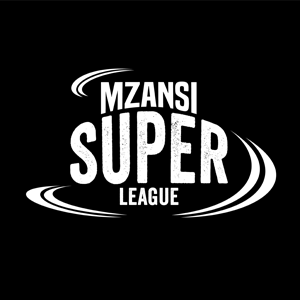 See FULL Mzansi Super League fixtures”We are more than excited to have concluded this partnership with SPN, who will be bringing 28 matches live throughout India and the sub-continent. We are pleased to announce that we are the official broadcasters of the inaugural edition of the Mzansi Super League (MSL) Twenty20 (T20) franchise cricket tournament. ITW Consulting, leading global sports management company through Global Sports Commerce (GSC), has acquired On-ground Rights, Sponsorships Innovate production FZE has bagged the global Broadcast Production from Cricket South Africa (CSA) for the Mzansi Super League T20 (MSL T20), and will be official International Commercial and Broadcast partner for the next five years.